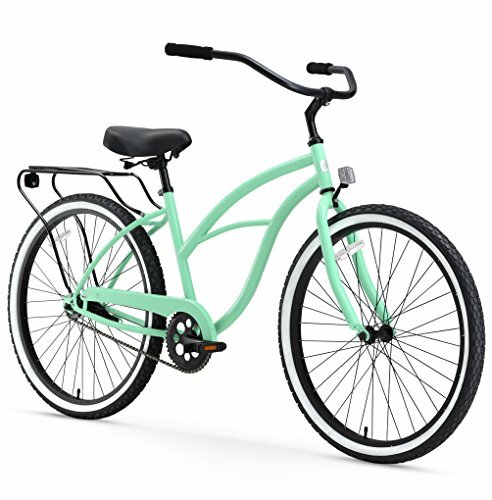 Cruise with style on the supremely comfortable Around The Block women's bike, featuring an upright riding design and sweeping cruiser handlebars to keep your back and shoulders relaxed. The comfort and ease of the sixthreezero Around The Block make it great for casual jaunts — whether to the beach, down the bike path, or around the neighborhood. 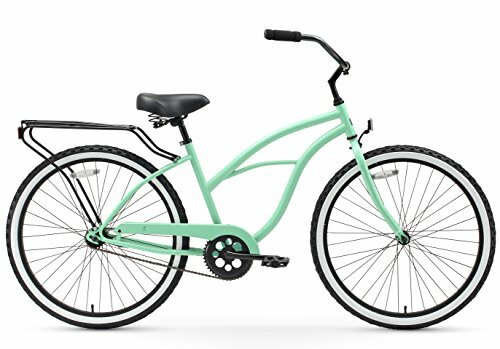 The Around the Block amps up its eye-catchingly curvy steel cruiser frame with comfort details like high-density foam grips on the wide handlebars, a dual-spring seat that ensures tailbone comfort on long rides, and 2.125-inch wide aluminum wheels with large waffle tread tires (available in 24-inch and 26-inch sizes) that help smooth out the bumps. 7-speed Shimano external hub allows for a wide range of riding — from leisure to long distance commutes. Includes front and rear handbrakes. Single-speed model offers ultimate simplicity, and is ideal for flat terrain. The coaster braking system is simple — just pedal backwards to glide to a stop. 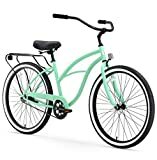 This bike comes with a chain guard to protect pant cuffs from getting caught, plus a rear rack for use with optional panniers, baskets, and other accessories. 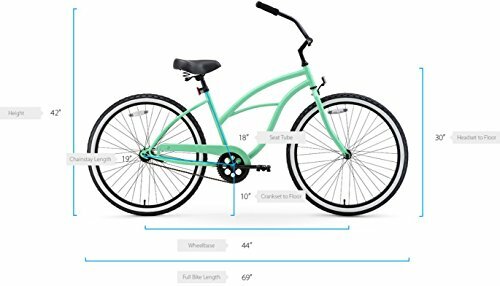 The 26-inch Around The Block (19-inch frame) is sized for riders from 5 feet to 6 feet, 4 inches tall, and the 24-inch model (14-inch frame) is sized for riders from 4 feet, 2 inches to 4 feet, 11 inches tall. It comes 85% assembled.